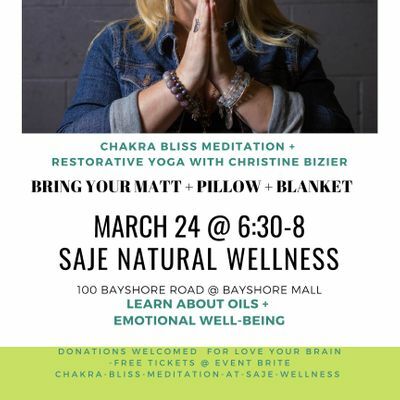 Join Bliss architect life coach and yoga teacher for an evening of learning about essential oils for emotional well-being. We will take a restorative chakra healing yoga journey guided by aromatherapy for total BLISS! 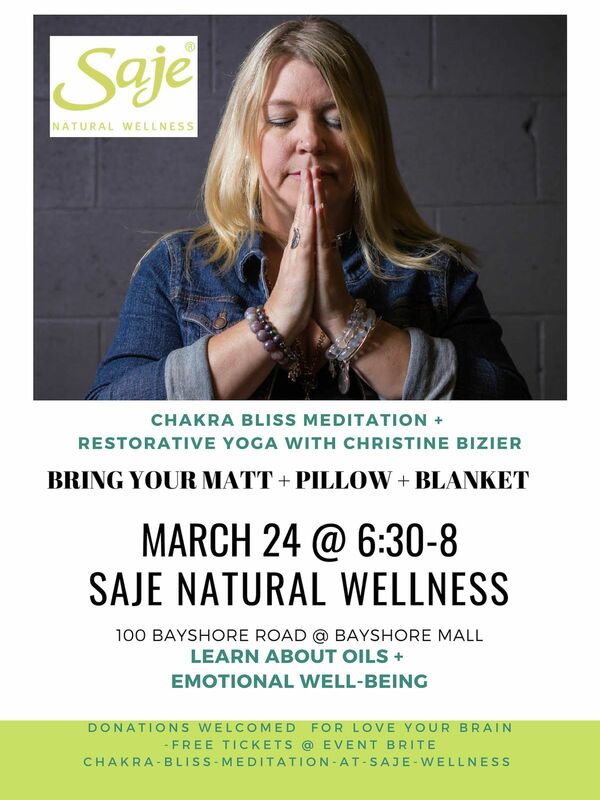 Please bring your yoga matt, blanket, pillow and water bottle if you wish! This event is free, however donations for the LOVE your brain non-profit foundation would be appreciated to help those with Traumatic Brain Injuries and their caregivers.